 High quality material, healthy to skin and environmental friendly.  Suitable for baby, small children, patient and elderly.  Best care pad for the medical using & sleeping time.  Skin-friendly Material: Use non-woven fabrics, feel soft and comfortable; Good water absorption, scattered drainage of liquid, absorb quickly, By using it, users can effectively keep skin dry.  Excellent Design: Using imported pulp, adding polymer water-absorbent resin (SAP) to ensure rapid and effective absorption. The diversion embossing design to guide the urine to spread around.  Lightweight & Portable:35pcs per bag meet your daily use; Lightweight and portable size, convenient to carry when travel. Disposable cleaning-free, you can pack them into the trash after use, convenient and quick. 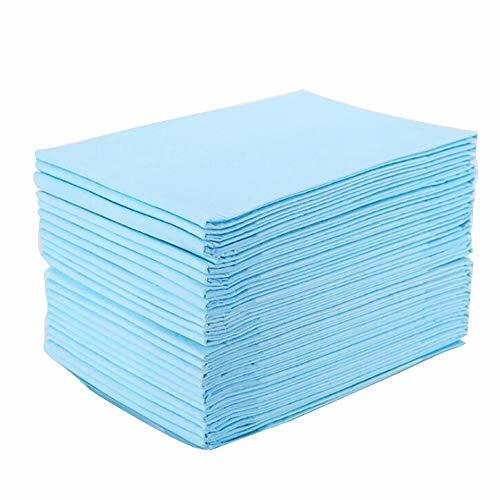  Wide Use: This disposable diaper is not only baby disposable changing pad but also a bedpad for patients, maternal period and pets, keep the floor and furniture clean, save your time to clean.